Now, a certain brand of tissues were found to contain a toxic ingredient used as an engine de-greaser and industrial-strength detergent that not only irritates sensitive membranes it touches, but can also cause skin corrosion, eye health issues, and disrupt hormone balance with long-term usage. Imagine having a head cold or allergies, only to find out blowing your nose into Kleenex makes things horribly worse. Did you know that the International Journal of Toxicology published a safety assessment of SLS and outright tells the public not to use any products that contain more than one percent SLS for a prolonged period of time? Kleenex tissues now contain more than two percent and it’s shown right on the label on the boxes. Research reveals SLS can penetrate the skin easily, thus being absorbed into the bloodstream, and then building up dangerous residual levels in the lungs, liver, heart and brain. SLS is popular in America in toothpastes, cosmetics, lotions and shampoos. SLS has also been known to cause lower rates of male fertility. Moreover, SLS mimics estrogen, creating symptoms of PMS, PMT and menopause. According to the CDC’s own website for “promoting productive workplaces through safety and health research” (NIOSH – National Institute for Occupational Safety and Health), SLS has its own international chemical safety card that states clearly that it is combustible and gives off toxic fumes in a fire. The chemical card also states that if inhaled, SLS causes sore throat and a cough. 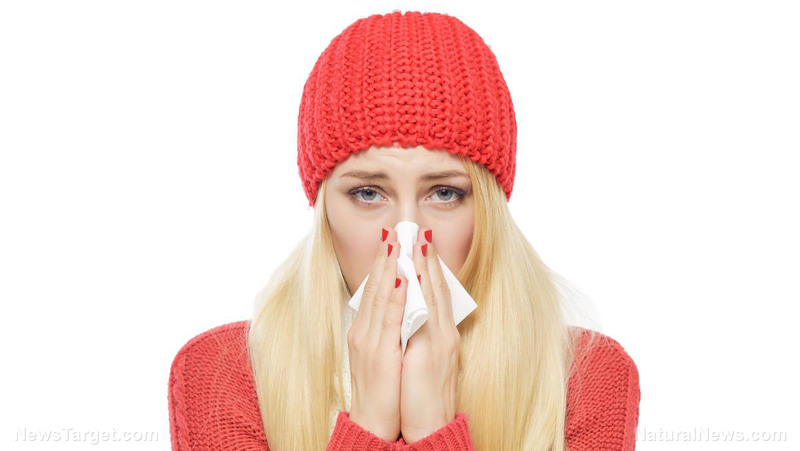 Don’t most people use Kleenex to blow their noses when they’re sick with a cold, infection, virus, or the flu? How is this legal? What’s next, maybe .01 percent anthrax tissues? The effects of short-term exposure to SLS include irritation to the eyes, skin and respiratory tract. Repeated and long-term, prolonged contact with the skin may cause dermatitis. Better not use more than a couple Kleenex for that next head cold. Wait, there’s more. The NIOSH warnings tell you to use protective gloves and safety goggles when handling. Acute symptoms of exposure include nausea, vomiting and diarrhea. So when the pediatricians just can’t seem to figure out the cause of your child’s diarrhea, how about you have some rogue doctor jab your child with a RotaTeq virus vaccine that unnecessarily contains some deadly circovirus strains from pigs in China. Doesn’t seem that much crazier than blowing your nose with chemically corrosive-laden tissues. Welcome to America, where the conventional food makes you sick, the medicine and Kleenex make you sicker, and the vaccines can maim and even kill you. Much like a good strong dose of antibiotics from some allopathic clown, antibacterial soaps, disinfecting wipes, and hand lotions also kill ALL of your good bacteria while trying to address those “bad guys.” Besides animal slaughtering concentration camps (CAFOs) in America using 75 percent of all antibiotics to stave off bacterial infections bred in filthy quarters, hospitals and doctors are dishing out antibiotics to anybody with a sore throat or a fever, adding to the chaos of the whole planet (including superbugs) becoming immune to all antibiotics. Seems like nearly every mainstream product you buy these days for warding off sickness literally causes worse health problems. We can all thank the huge corporations that invest in our health demise for all of these latest misgivings. On average, people use as many as 200 chemicals on their skin daily, of which more than half get absorbed directly into the bloodstream. You’ll often find SLS alongside Sodium Laureth Sulfate (SLES) and Ammonium Laurel Sulfate (ALS). SLS is literally used to irritate skin when testing products that might heal skin conditions. So why not give it to the “dumb” Americans and tell them it’s a “benefit” right on the box? Plus, you (and your kids) may be interested to know that SLS can also cause “protein denaturing,” wherein its chemical structure forms a bridge between the fat and water soluble portions of your cells, eliminating your cells’ ability to heal themselves. This type of cell destruction is irreversible. Thanks a million Kleenex!